Two toasts | Snapcraft, browsers, and green cats. 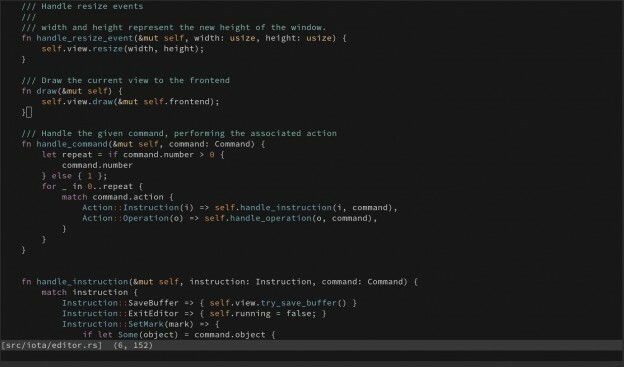 Last week I snapped iota, a small editor with emacs and vi modes. I decided I wanted to try it out on a Raspberry Pi before pushing it to the snappy store, for that I need to cross-compile. Conveniently I recently implemented support for that in snapcraft. If you didn’t follow the previous step from my previous blog post, to try what I’m about to do, you’ll need a fresh clone of my iota branch. If on the other hand, like me, you built a snap for another architecture before, in my case amd64, I need to clean the build files. Time for a cup of coffee! Once it’s done, you can use SSH (or whatever your preferred method is) to copy the snap to your Raspberry Pi 2 or 3 running Ubuntu Core. Now I can use iota as my editor on the Raspberry Pi! This entry was posted in Snapcraft and tagged cross-compilation, rust, snapcraft on July 14, 2017 by kalikiana. Iota is a small editor for your terminal, with support for emacs hotkeys or vi-style commands, syntax highlighting, and easily hackable, written in Rust… now wouldn’t it be awesome if I could install it easily as a snap? So I figured I’d contribute a snapcraft YAML in my lunch break. Here’s how I did it. Head to https://github.com/gchp/iota and hit Fork on the top right. Let GitHub work its magic. Once it’s done I can checkout the code. At this stage I’ve got a local copy of iota and a snap/snapcraft.yaml that was automatically created for me. Some editing is needed. developer friendly - it should just "get out of the way"
The fields name, summary and description are pretty self-explanatory, especially given the template snapcraft init creates. I just picked some wording from iota’s README.md. I used version: git here because it just picks up the tag or commit hash, and it’s good enough for an unstable build anyway. confinement: classic is much more interesting here because this is an editor, and I want to be able to edit all the files on my system. confinement: strict wouldn’t allow that as it restricts access to specific folders only used by the snap itself. Note how I’m specifying bin here explicitly. Classic snaps don’t get any path magic unlike their strict counterparts. Now as for the actual build instructions I don’t really have to do much. iota specifies all its dependencies in its Cargo.toml so no build-packages or stage-packages are necessary. The only thing I need to specify here is the nightly channel since iota requires unstable rust features. This takes a while as rustup downloads the toolchain and crates needed behind the scenes. High time to grab that lunch my break is meant for. Fast-forward, I’m installing the result of that build. Now I can use iota as my editor! Finally, I’m opening a pull request on GitHub. This entry was posted in Snapcraft on July 6, 2017 by kalikiana. I implemented support for cross-compiling when using the Go plugin and the Rust plugin (bonus points for using a LXD container) in snapcraft. On the part of the user of snapcraft it’s completely transparent but each plugin needs to explicitly support this, so here’s how you enable your favorite snapcraft plugin to make this work. Let’s enable the fictional foo plugin. First of all, we tell snapcraft that we know how to cross-compile by implementing one additional method. We don’t need to do anything here. Although I’ve found one good use of the method to be checking that the requested target is supported by the toolchain. For a language like Rust or Go the target is different to the Debian architecture. Rust even supports using a different libc (glibc or musl). That means the plugin needs to map the target and raise an error if it can’t. In the following example I’ll also be seeting self._target so that it can be used in other steps of the lifecycle, for example to set environment variables or when installing target-specific dependencies of the toolchain. Second of all, we’ll want to adjust the environment variables. This depends on the build system. Typical candidates are compiler names and pkgconfig – we don’t need to worry about the latter since snapcraft already takes care of it. Go for example would also require GOARCH to be set. In the following code I’m assuming there’s a self._goarch variable that was set in enable_cross_compilation. It goes without saying that we’ll want to have an integration test checking that this new code actually continues to work in the future. You’ll need to have a snap in integration_tests/snaps/foo which you may already have. Otherwise you’ll need to add it. It’s a good idea to try and make use of more advanced use cases that may need special care in the context of cross-compilation, such as using C code in the case of Go. You’ll also want to unit test the new use cases supported by the plugin. There will be a snapcraft/tests/plugins/test_foo.py if it’s an existing plugin where you can verify the build environment and commands used for building insofar as they differ (Go would require you to use go build for example instead of go install). This entry was posted in Snapcraft and tagged cross-compilation, go, hacking, rust on June 27, 2017 by kalikiana. Freshly printed Midori stickers just arrived, in November the last ones of the old batch were being given out to visitors of the OpenRheinRuhr. So I ordered new ones at FlyerAlarm, a print company based in Würzburg, Austria. This time around I went for circular ones and slightler smaller than they used to be. This size also fits better on phones and tablets for those who like to decorate theirs with stickers. You might also notice that the colors are better and the graphic comes out better – fixes to the SVG will be finding their way into the repository soon. With the new stickers I’m well-prepared for Chemnitz Linux Days this march, in a little more than a fortnight. There will be a Midori booth there. Be sure to add the weekend of March 19 and 20 to your calendars! This entry was posted in Midori on March 3, 2016 by kalikiana. As things go we diverged a bit from the original plan of making a big compatibility break with this release. Instead much of the original branch has been broken off into pieces that made their way into trunk. We did however bump WebKit2, libSoup and Zeitgeist dependencies. The most visible change is support for CSD, client side decorations, also called header bars after the API in GTK+3.10 (enabled via GTK_CSD=1). With no further adue here goes Midori 0.5.11 with a whole lot of nice things and a ton of bug fixes! Peek at the change log if you want more details. The source tarball is up. Windows is going to follow suit shortly, and others are still being refreshed, so be patient if the option of your choice isn’t there just yet. This entry was posted in Midori, Uncategorized on August 30, 2015 by kalikiana. Whilst work on the compatibility breaking branch is coming along nicely it seemed sensible to do another bug fix release. Thus Midori 0.5.10. 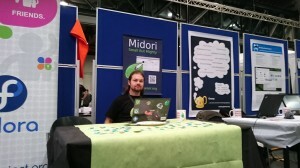 You are welcome to join #midori on irc.freenode.net or Slack and party for the release! This entry was posted in Midori on April 20, 2015 by kalikiana. We are excited and proud of announcing WebKitGTK+ 2.8.0, your favorite web rendering engine, now faster, even more stable and with a bunch of new features and improvements. Touch support is one the most important features missing since WebKitGTK+ 2.0.0. 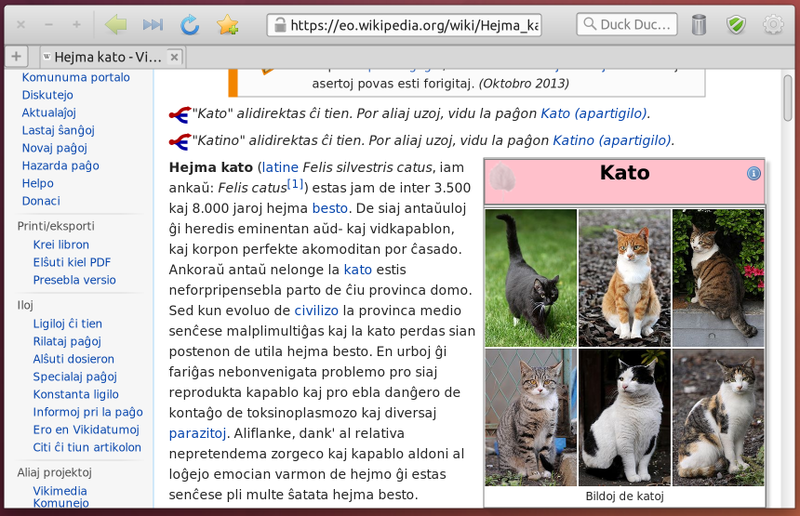 Thanks to the GTK+ gestures API, it’s now more pleasant to use a WebKitWebView in a touch screen. For now only the basic gestures are implemented: pan (for scrolling by dragging from any point of the WebView), tap (handling clicks with the finger) and zoom (for zooming in/out with two fingers). We plan to add more touch enhancements like kinetic scrolling, overshot feedback animation, text selections, long press, etc. in future versions. 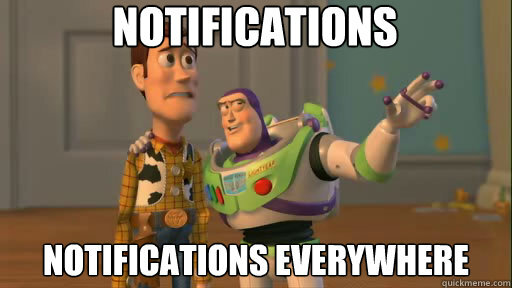 Notifications are transparently supported by WebKitGTK+ now, using libnotify by default. 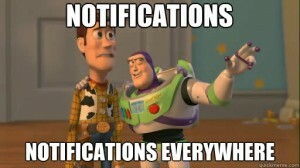 The default implementation can be overridden by applications to use their own notifications system, or simply to disable notifications. There’s new API now to set the base background color of a WebKitWebView. The given color is used to fill the web view before the actual contents are rendered. This will not have any visible effect if the web page contents set a background color, of course. If the web view parent window has a RGBA visual, we can even have transparent colors. A new WebKitSnapshotOptions flag has also been added to be able to take web view snapshots over a transparent surface, instead of filling the surface with the default background color (opaque white). 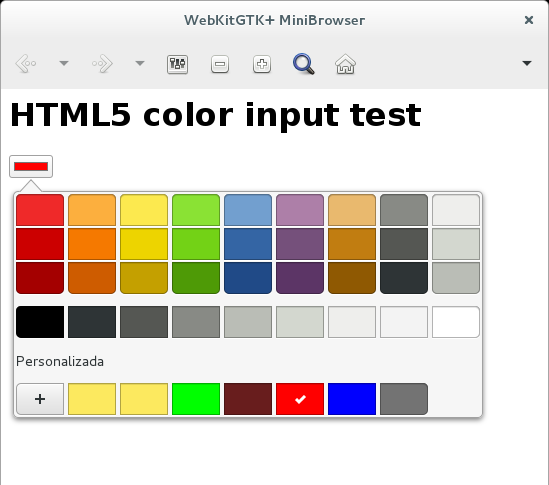 Color input element is now supported by default, so instead of rendering a text field to manually input the color as hexadecimal color code, WebKit now renders a color button that when clicked shows a GTK color chooser dialog. As usual, the public API allows to override the default implementation, to use your own color chooser. MiniBrowser uses a popover, for example. APNG (Animated PNG) is a PNG extension that allows to create animated PNGs, similar to GIF but much better, supporting 24 bit images and transparencies. Since 2.8 WebKitGTK+ can render APNG files. 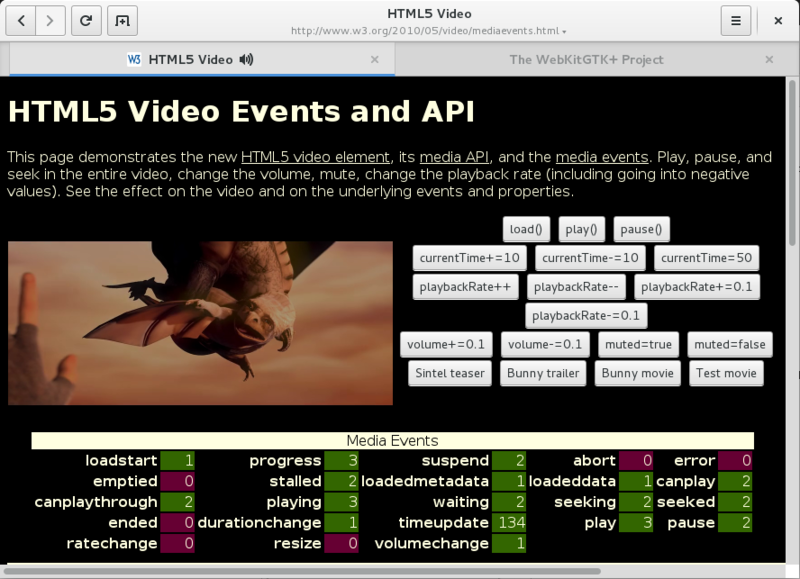 You can check how it works with the mozilla demos. The POODLE vulnerability fix introduced compatibility problems with some websites when establishing the SSL connection. Those problems were actually server side issues, that were incorrectly banning SSL 3.0 record packet versions, but that could be worked around in WebKitGTK+. WebKitGTK+ already provided a WebKitWebView signal to notify about TLS errors when loading, but only for the connection of the main resource in the main frame. However, it’s still possible that subresources fail due to TLS errors, when using a connection different to the main resource one. WebKitGTK+ 2.8 gained WebKitWebResource::failed-with-tls-errors signal to be notified when a subresource load failed because of invalid certificate. Ciphersuites based on RC4 are now disallowed when performing TLS negotiation, because it is no longer considered secure. bmalloc is a new memory allocator added to WebKit to replace TCMalloc. Apple had already used it in the Mac and iOS ports for some time with very good results, but it needed some tweaks to work on Linux. WebKitGTK+ 2.8 now also uses bmalloc which drastically improved the overall performance. Concurrent JIT was not enabled in GTK (and EFL) port for no apparent reason. Enabling it had also an amazing impact in the performance. The first jump on 11th Feb corresponds to the bmalloc switch, while the other jump on 25th Feb is when concurrent JIT was enabled. 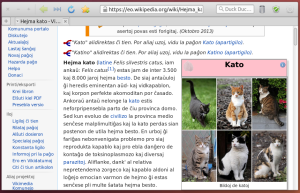 WebKitGTK+ 2.8 is an awesome release, but the plans for 2.10 are quite promising. More security: mixed content for most of the resources types will be blocked by default. New API will be provided for managing mixed content. Sandboxing: seccomp filters will be used in the different secondary processes. Even more performance: this time in the graphics side, by using the threaded compositor. Blocking plugins API: new API to provide full control over the plugins load process, allowing to block/unblock plugins individually. Implementation of the Database process: to bring back IndexedDB support. Editing API: full editing API to allow using a WebView in editable mode with all editing capabilities. 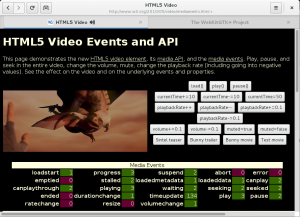 This entry was posted in WebKit and tagged epiphany, Free Software, GNOME, gtk+, Igalia on March 23, 2015 by carlos garcia campos. Seven months of sweat and tears… oh well, not quite so dramatic. In any event Midori 0.5.9 is out! We’re already scheming… I mean planning for the next cycle. We want to go WebKit2 and GTK+3 only now and do away with the fourfold compatibility setup. Anyone who finds this thrilling is more than welcome to join in; the fun is going to start soon. The source tarball and Windows download are up, while others are still being refreshed, so be patient if the option of your choice isn’t there just yet. This entry was posted in Midori on November 11, 2014 by kalikiana. 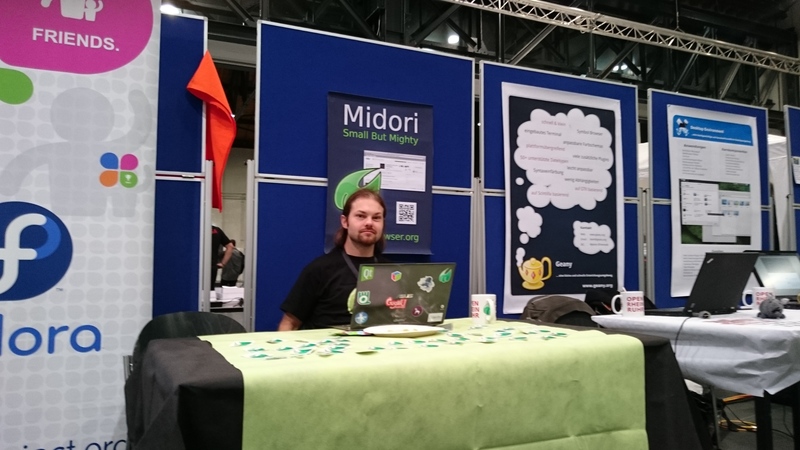 At OpenRheinRuhr 2014 we had a Midori booth again. Almost didn’t happen due to the strike of Deutsche Bahn which caused many people to miss the event. Fortunately my humble self made it. 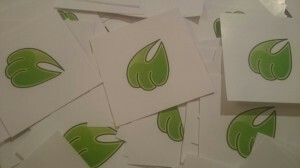 In addition to stickers, this time around we even had edible gummi paws! Amongst the most posed questions was process isolation, something WebKit2 provides, and which will be available to everyone soon once our plan to move fully towards GTK+3, WebKit2 and Vala is put in motion. The other one was why Midori crashed so often – which is due to the at least 4 primary build configurations currently available. I’m very much looking forward to seeing this go away at some point in the future. Pretty happy with the results personally, was able to get a decent number of people curious to try out Midori and in one instance even install it on site. This entry was posted in Midori on November 10, 2014 by kalikiana. After six months of development, the latest version of Xubuntu has been released! 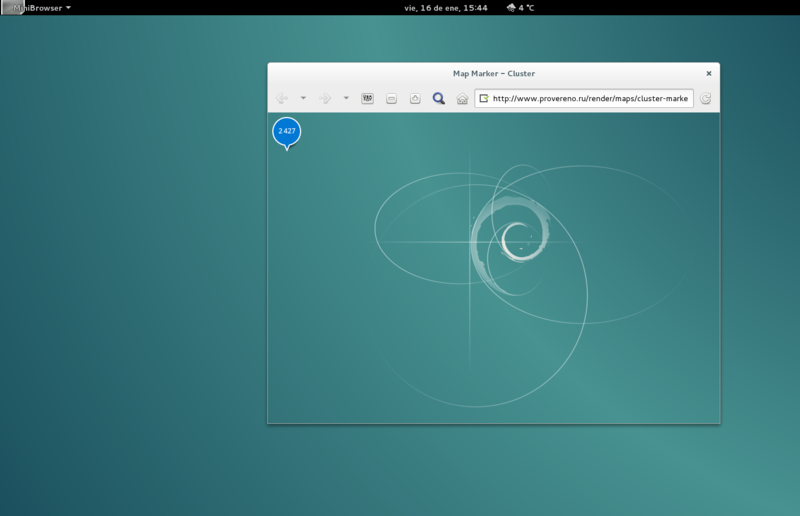 Xubuntu 14.10 “Utopic Unicorn” features the latest in Xfce development and is the first step towards the next Long Term Support release in 2016. Here’s 10 new things to look for in the latest release. For a more comprehensive list of changes and a list of download links, please see the official release announcement and release notes. The login screen received a minor visual refresh and greater customization options. LightDM GTK+ Greeter with the latest Greybird theme. The new wallpaper for this release adds a splash of pink to the Xfce mouse. To celebrate the 14.10 codename “Utopic Unicorn”, pink highlights have been added. These highlights can be reverted or easily changed to another color with the installed “Theme Configuration” utility. Using “Theme Configuration”, you can easily change Xubuntu’s colors to match your mood. Xfce Power Manager 1.4 sports several improvements over previous releases. Brightness controls have been extended to better support backlit keyboards and new laptop displays. The updated panel plugin shows device charge status, adds display brightness controls, and fixes “Presentation Mode” — letting you disable automatic screensavers. With the latest Xfce Display Settings, managing multiple monitors is no longer a hassle. Just drag and rearrange the displays to your liking. The new drag-and-drop display settings greatly improves multihead support. With the updated Xfce window manager, the Alt–Tab switcher has been updated with a refreshed appearance and the ability to select windows with your mouse or by touch. Even minor features like the Alt-Tab switcher have been improved. With the latest Whisker Menu and changes to the default configuration, applications in the Settings Manager are now searchable. Quickly find and launch any application with the Whisker Menu. With Catfish 1.2, previewing files has been greatly simplified. Easily switch between details and preview mode. When the search index becomes outdated, Catfish will also notify you to update. Catfish makes searching for images easier with the latest release. Parole 0.7 introduces a new Clutter-based backend and finally supports video playback in Virtualbox. The media controls are now contained in a slide-over overlay (with a configurable timeout). Parole’s interface is further refined with each new release. Light Locker Settings has been improved, further integrating with Xfce Power Manager to handle screensaver settings. Light Locker Settings can now integrate with other screensaver managers. That’s it for this release, now to get ready for 15.04 “Vivid Vervet”! This entry was posted in Catfish and tagged 14.10, Light Locker, Linux, Open Source, Parole, Xfce, Xubuntu on October 24, 2014 by Sean.